Having taught seagulls to sing the national anthem, counted all the stones on the beach and memorised the phonebook, Billy, a lovestruck seventeen-year-old is yet to impress his unrequited crush, Cecilia Sourbottom. When challenged to collect 7000 rubber ducks that have accidentally been plunged into the ocean, Billy sets sail on a worldwide voyage to win over his love. Cue a swashbuckling adventure, jampacked with clowning, musical numbers and physical theatre. 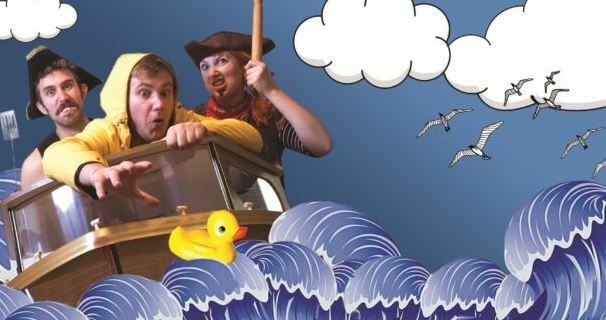 Taking inspiration from a real life event in 1992, FacePlant Theatre deliver a strong message about pollution, with a light-hearted and accessible approach for young audiences. The original writing, packed with cheeky puns and witty pop culture references, makes it impossible for the whole family not to enjoy. The cast demonstrate excellent storytelling skills and detailed characterisation in all of their roles. Jack Dorning as Billy delivers an energetic and captivating performance, which creates anticipation for each encounter on his journey. The multi-role performances of Alice Bounce, Maxwell Tyler and Lydia Hourihan are larger than life and showcase excellent voice adaptation. Among the amusing characters, Scuzzy the brummie rocker polar bear and Alberto the opera-singing Albatross are highlights. The sheer silliness and the underlying message are perfectly balanced. The actors know when to slow the pace to emphasise an important point and when to pick up the momentum with slick transitions, demonstrating their skill and control throughout. The moment Billy recovers his plastic bottle on the debris island is particularly clear and effective. The musical numbers add to the fun and feature some lovely harmonies. The audience may be encouraged to sing along more with greater invitation and interactions from the cast members. Lily Faith Knight’s design is ingenious and marries well with the make-believe story. Knight is able to get maximum use and effect out of simple props and costumes which magically come to life, featuring amongst other things, glove puppet crabs, a tin bath turned boat and three cardboard pieces that form a whale. Despite the minimalist set design, the attention to detail and the empathetic delivery of the actors, convey the humour of the writing extremely well. Although the ending feels slightly rushed, the tale comes full circle to charmingly conclude Billy’s epic adventure. 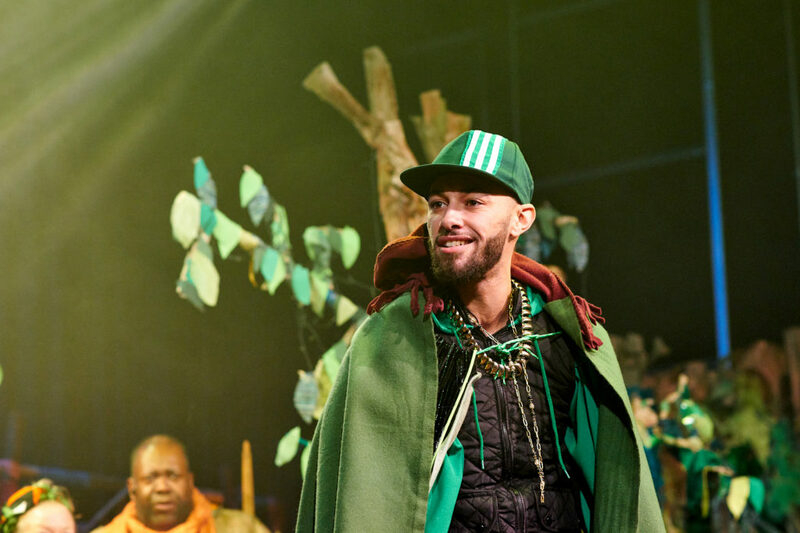 This production is imaginative and slightly quackers, but well worth a watch.